Halloween is right around the corner, and many kids are looking forward to lugging around a bag filled with sweet treats. While the children may be smiling, dentists across New Jersey and Connecticut will be cringing! To keep your child from waking up with an aching tooth instead of an aching tummy, limit your children’s intake to sweet treats that do the least damage. Below are Delta Dental of New Jersey’s picks on a scale of 1 to 5, with 1 being least harmful and 5 being the most harmful to teeth. 1. Sugar-free candy and gum with xylitol Sugar-free foods don’t contain sugar that can feed on the bacteria in the mouth and produce decay-causing acids. Gum and candy with xylitol may actually protect teeth by reducing the acids produced by bacteria and increasing saliva to rinse away excess sugars and acids. 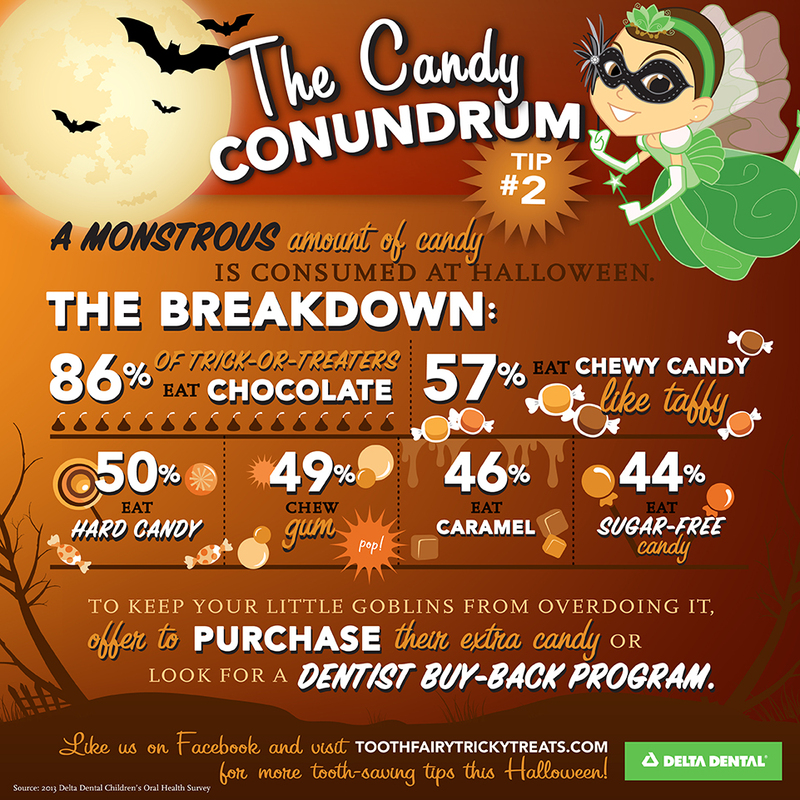 And remember, have your child brush after each candy splurge!